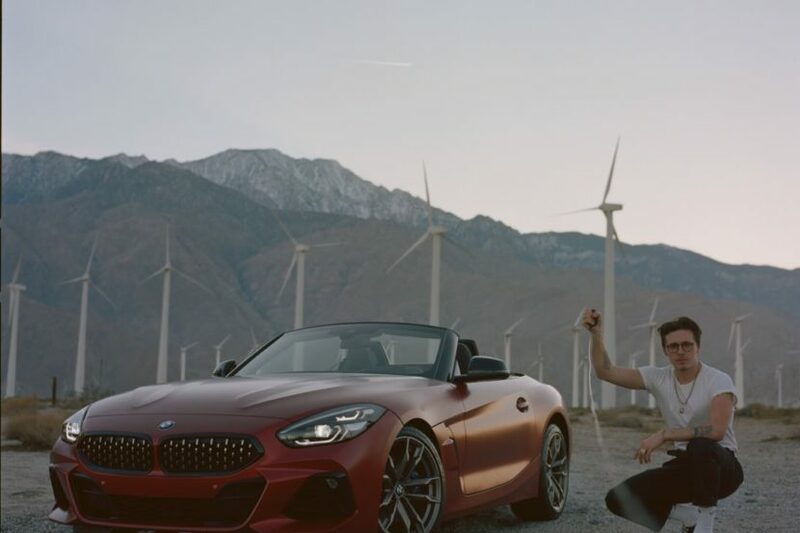 BMW and Brooklyn Beckham started working together for the first time last year. Back then, Brooklyn traveled to the BMW Group Design Studio and was allowed to take some shots of the Z4 in Concept guise. After that, him and the team behind the Z4 design worked on his own personal car and from then on things kinda simply unfolded. This year he decided to create a galley of the new Z4 through his own lens. Therefore, back in December, Beckham started work on his creation that was supposed not only to capture the car but also himself. In doing so, he chose the Hasselblad 503 as his ‘tool’ and set off. The action took place in the Califonian desert, as even during winter time the temperatures there average around 21 degrees Celsius and you get at least five hours of sunlight every day. Furthermore, Coachella, the place where most of the magic happened, is also near the private race track Thermal Club. Dressed in a T-shirt and chinos, the photographer circled his subject from all sides, studiously set his sights on details of the vehicle and the surrounding landscape and portrayed himself and the BMW Z4 using the cable release – as well as skateboarding around the roadster and on the race track. Each picture speaks volumes about the amount of fun he had on the job. “I take a photo whenever I see anything interesting,” said the young photographer. 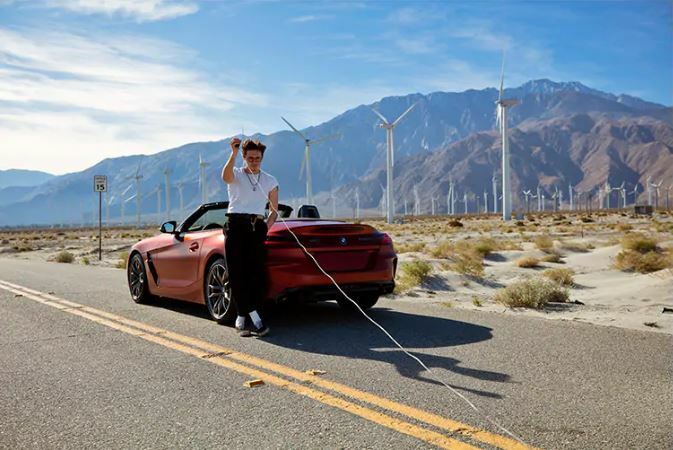 This is reflected in the pictures he took in Coachella, too: they give the BMW Z4 a very distinctive presence against the contrasting effects of the soft Californian winter sunlight, the pastel shades of the surroundings and the bleak background of the rugged landscape. 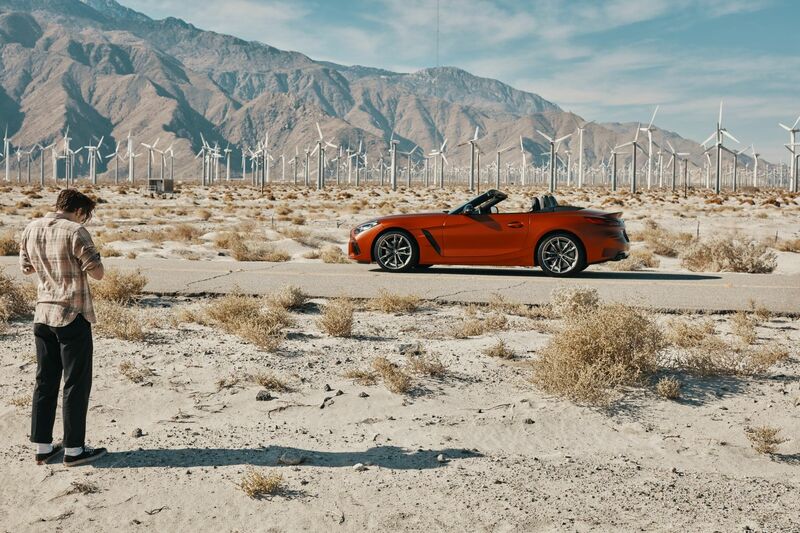 As for the future, Beckham is set to create yet another gallery at the Coachella Valley Music and Arts Festival with the BMW i8 Roadster designed by Khalid.